The seriously powerful NVIDIA® GTX™ 950M (2 GB dedicated) graphics and Quad-core Intel® Core™ i5 processor gives you the weapons you need to take on any challenge, including the most demanding AAA titles running with full Microsoft DirectX 12 support. Sense every pulse-pounding moment for a totally engrossing experience, with a 178° wide-viewing angles FHD IPS anti- glare display that produces fantastic colour and contrast, changing the way you see gaming. Include the Bang & Olufsen Audio and you can take your game to the next level. Easily go from crushing enemies at home to commanding the battlefield on the go with an aggressively slimmer design and full-size island style Dragon Red backlit keyboard. The expertly designed thermal solution helps keep you PC cool, making sure you can remain focused on turning the heat up on the competition. With a 1TB (7200RPM) HDD you really can store all the games you want to master on your travels. 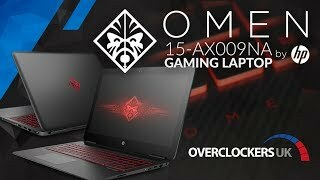 More links for "OMEN 15-ax009na NVIDIA GTX 950 2GB GDDR5 15.6" IPS, Intel i5-6300HQ Gaming Laptop"
i was buying a laptop as i have a child now and so thought it would be easier to play or use with more convenience later on at night or in free time and to save space so after looking online it thought it seemed great value for its price and i was very happy to be correct. 1.As always im spectacle of buying laptops due to faults can be annoying, but upon opening the boxing was glorious like finding a pot of treasure, the casing itself is strong and soft to a touch which is nice, all the keys were working and the back-lighting is fantastic, which my nephew found amazing so got some great cool points for that, and the ports all working as well. 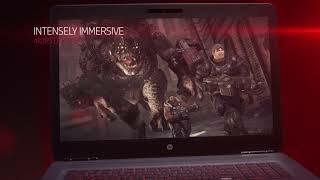 2.the performance of the laptop has been able to handle all the games i have played so far and quite comfortably, some of these games are PUBG, LoL, Starcraft/CnC tiberiun wars, WoW aswell as other less demanding games (hopefully this would help upon if it would work for you). 3.the fans seem to keep the laptop very cool so far ive never noticed the laptop to heat up and as well as being very quiet. Overall im very pleased with this product i know theirs better laptops out there but if your just wanting a casual or affordable one this has got my vote, and would recommend to anyone. Excellent speed all round when browsing the web, using web applications etc. Plays modern games at decent settings with good framerates. For example, Overwatch and Fortnite play around medium settings 1080p 60fps. Excellent packaging and keyboard backlighting is excellent. Battery life good, only slight issue is the keyboard can be unresponsive sometimes but overall a solid gaming laptop to start out on. Bought for £599.99 promotional offer. Only had for one week.